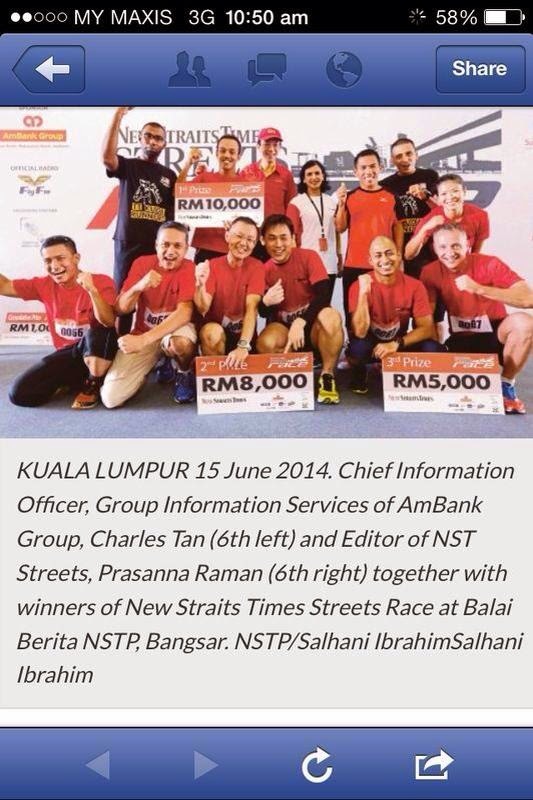 So I just completed my first ever NST Street Race yesterday with my team, the Killah Cherry Poppers. A mix of running, treasure hunting and obstacle racing, it was by far one of the hardest challenges I have done to date and that included Tough Mudder. Completing and even getting to each challenges and checkpoint called for a mix of brains, strength, luck and a bit of experience. We arrived at the NST main office building bright and early to get good parking and already the atmosphere was buzzing with anticipation. Everyone was in either teams of four or three and a good chunk of us were from our bootcamp gang. Some of us had joined this previously and were the favourite to get a placing. As for me, I just wanted to do this without decking or killing my teammates as I have been known to get snappish and bitchy in a stressful situation. Once during a car treasure hunt, I shoved my friend out of the car at a traffic light to grab a treasure we needed. The race started with a crossword puzzle that had all the teams huddling on the floor to solve. My team teamed up with a friend's team and between the both of us, we solved the puzzle in half the time and were off in first and second places! Positions that we couldn't hold for long as the other teams soon caught up, having spotted us running to the clue holder. Bangsar LRT was our next stop where we had to answer a series of multiple choice questions before we moved on to KL Sentral and the Tun Sambanthan area. 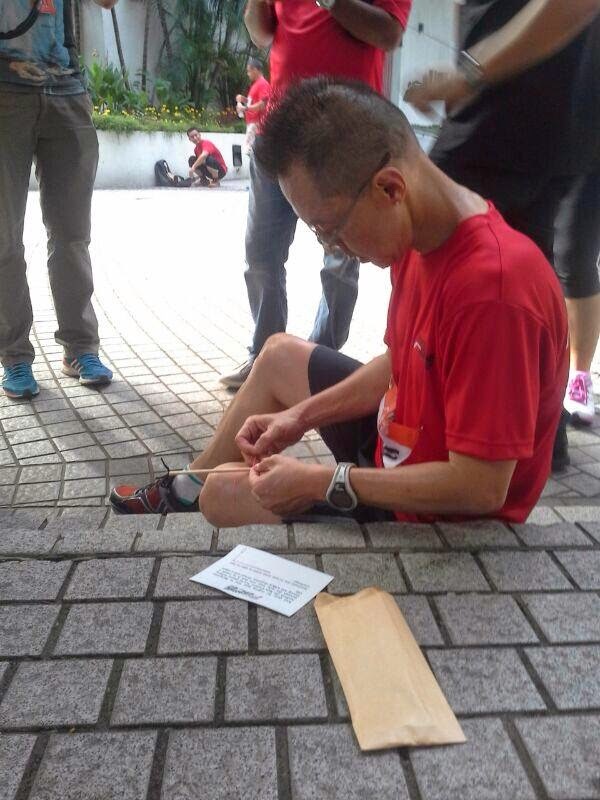 There we found our next clue and our sandbag to carry to three checkpoints by foot around Kuala Lumpur. At our second checkpoint, we got hopelessly lost in Petaling Street and lost even more precious time and energy looking for the checkpoint. AmBank Tower was our goal and we dumped our 20kg sandbag there to move on to the next challenge which required one teammate to create a fishing pole from a stick, string and clip in order to pick up a pair of keys. 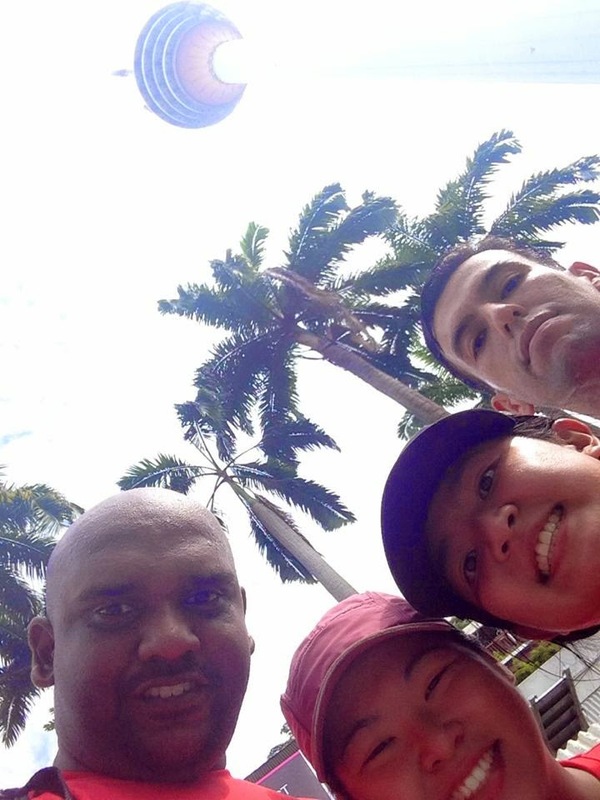 That won us the clue to the next challenge which was at KL Tower. I remember I jokingly said that we could be climb up the tower via the stairs and lo behold, that was indeed the challenge for two of us. For god knows what reason, I volunteered myself for that challenge and it became a grueling 30 minutes (or at least I think it was 30 minutes) to the top of the tower shaft. I nearly wanted to give up amidst my cursing and swearing! But by some miracle, I did and with my teammate who waited for me at the top (he didn't have a choice), we rode the lift down to get our other teammates and we were off once more, this time to Titiwangsa! 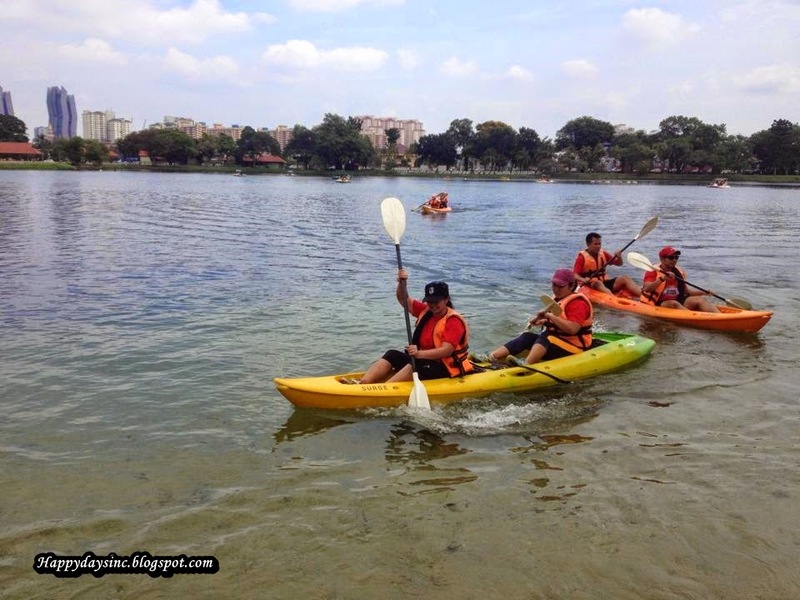 We already knew to expect kayaking in Titiwangsa lake and indeed it was and this time, my sister and I happily offered to do it as we were most comfortable in or on water. We paddled as fast as we could from one end of the lake to the other in order to get the clue that was floating on a box and reluctantly paddled back to our teammates. We were past the midway point of the race by now and had to ride the Monorail back to KL Sentral monorail station where we got our next destination. The DBKL sports club was the spot for the next challenge where one teammate had to fish out a Revive can with an X on it from a barrel of ice and water. After that, it was home-free as we ran back to the NST office from there, cutting across the housing area and using the pedestrian bridges. It was a great relief to find that there was no more obstacle Overall, we came in at 30th placing (I think) out of 125 teams. Out of my bootcamp group, three or four teams were in the top 10 placing with one team 'Are We There Yet?' walking away with second placing and RM8,000. Amidst the sea of red that day, the recruits, volunteers and instructors from the Original Bootcamp group were the ones who made the loudest noise, gave it their all and while doing so, displayed team spirit throughout this entire experience. Thanks a lot for your great post.it is informative post for race.This post give me more new information about us of race.i like this post.